GPS-3F (Global Positioning System) or Navstar-3F (Navigation System using Timing And Ranging) are the second evolution stage of the third generation of the GPS satellites. 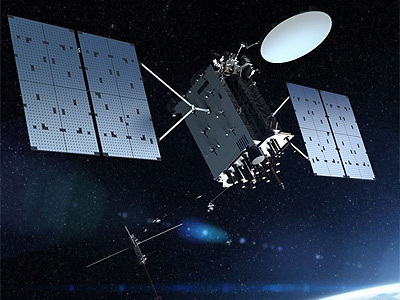 The U.S. Air Force announced in September 2018 that a team led by Lockheed Martin has won the competition to build the next-generation Global Positioning System (Navstar) Space System program, known as GPS IIIF. The satellites will be based on Lockheed Martin's LM2100M bus.